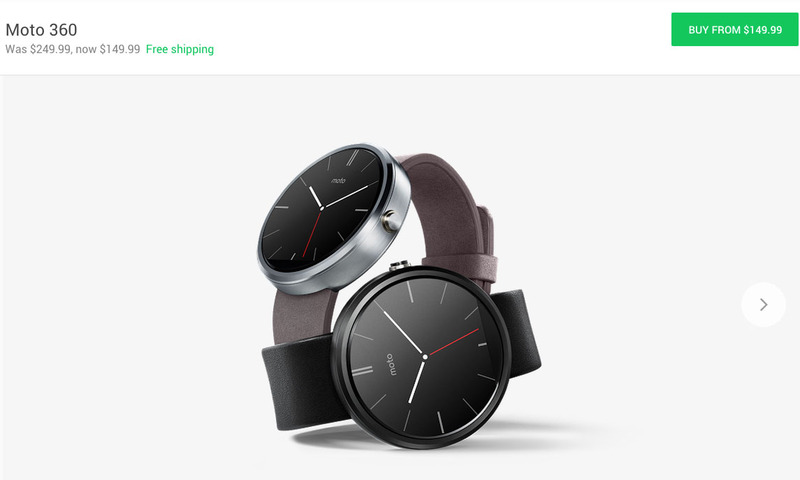 Motorola and Google both dropped the price of the Moto 360 today to $149. That’s a $100 discount and could be a sign that it’s time to kill off all remaining inventory before the new 2nd generation model arrives. We have seen the price jump up and down over recent months, but this price cut has happened without asterisks, footnotes, or banners that mention this as being temporary. Is the Moto 360 still a good buy at $150, even though it’s about to be replaced? $150 is a $150, so it’s not like we are talking about spending pennies here. With that said, it’s a solid smartwatch for a 1st generation device. It has started to show its age (that damn OMAP processor) recently, but still gets the job done. And hey, it also has Android 5.1.1 now! Look at it this way – you know what you are getting when you buy a year-old, first-gen product that is about to get replaced by a new, upgraded model. It’ll work, but there could be some jealousy in a few weeks. Then again, the new model won’t be this cheap.